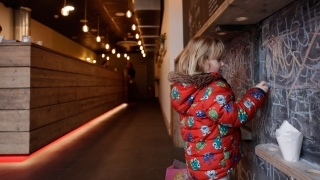 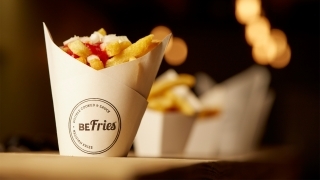 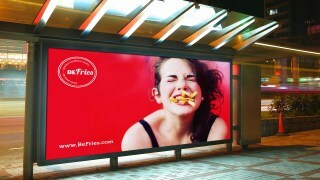 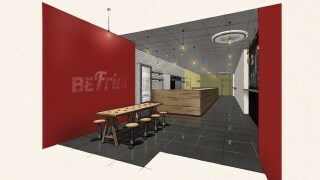 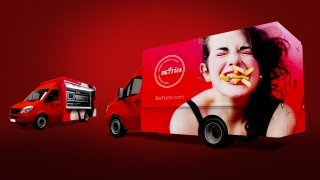 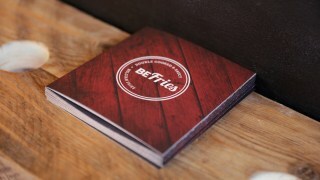 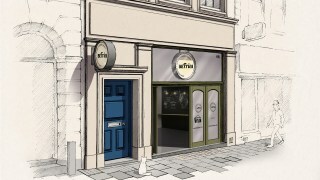 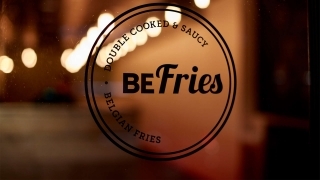 BeFries is now a multi-award winning fast food outlet growing from strength to strength. 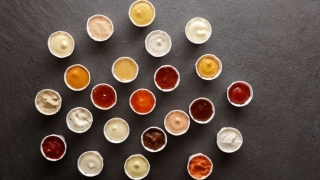 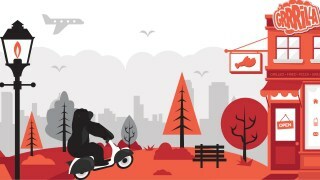 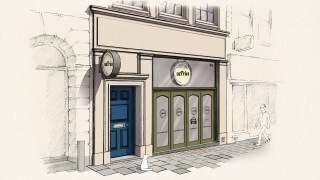 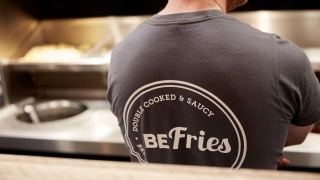 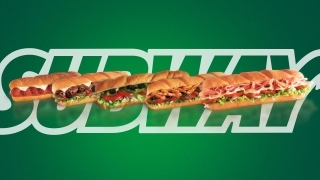 Expanding into retailing its own range of sauces and sights firmly set on growing the chain across the UK through mobile units and additional chain of stores. 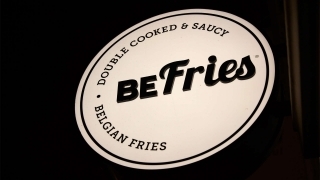 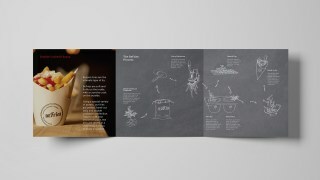 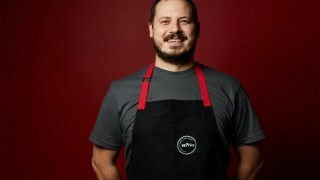 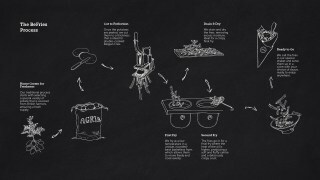 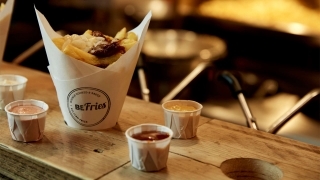 We built the brand on BeFries’ ethos of taking something simple like the humble potato and through a unique frying process and the addition of sauces, making it irresistible. 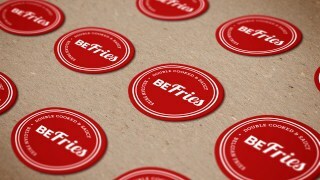 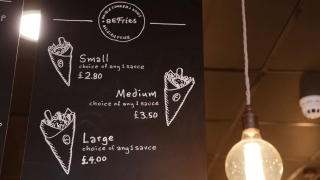 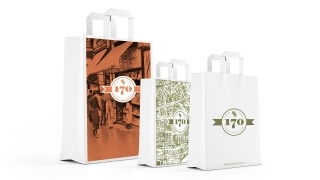 A brand mark that does what it says on the cone, is easily recognisable and allows them to just Be. 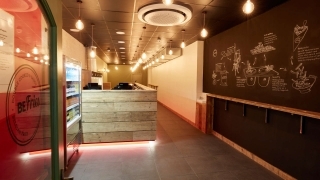 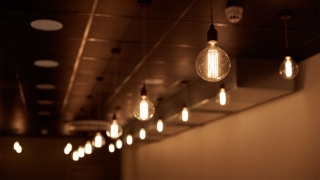 The interior concept is simple with the right amount of character, designed so it can be easily replicated to other stores as the business expands. 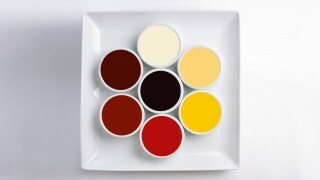 Bright and bold colours inspired by sauces.